111 Commercial Real Estate & Properties in Underwood are listed in 7 categories. We have 45 Industrial Warehouses Sale & Lease , 41 OfficesSale & Lease , 18 Retail ShopsSale & Lease , 13 Medical and Consulting PropertiesSale & Lease , 5 ShowroomsSale & Lease and 4 Other Commercial PropertiesSale & Lease . 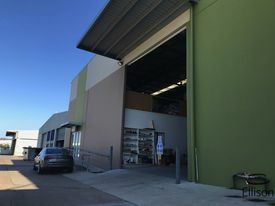 Best Priced Office Warehouse Unit Around $1,750 + Outs + GST per m..
Unit 3 130 m2 office / warehouse unit Only asking $1,750 + Outs + GST per month The unit has 70m2 air cond. carpeted office area with 3 glass partitioned rooms 60m2 warehouse / extra office area with roller door access and carpeted floor Data and phone points throughout the office areas Male female toilets and a kitchenette Security grills on all windows with vertical blinds Quite, clean and tidy neighboring businesses 3 car parks close by for this unit Flood free property which is close to M1 Motorway and Logan Road Landlord asking realistic rent per month and wants to do a deal now! Call now to arrange an inspection approx Please contact the listing agent for more details by clicking on the link above. Disclaimer: Ray White has not independently checked any of the information we merely pass on. We make no comment on and give no warranty as to the accuracy of the information contained in this document which does not constitute all or any part of any offer or contract by the recipient. Prospective purchasers / lessees must rely on their own enquiries and should satisfy themselves as to the truth or accuracy of all information given by their own inspections, searches, inquiries, advices or as is otherwise necessary. No duty of care is assumed by Orchid Avenue Realty trading as Ray White Surfers Paradise Commercial divisions toward the recipient with regard to the use of this information and all information given is given without responsibility. 163m2 1st floor office divided into 4 rooms Air conditioned Ample parking in front & rear of the building Fantastic exposure on very busy Logan road Very motivated landlord Very reasonable rent Contact Marketing Agent Joseph Miu 0402 963 355 or Suzy Saba 0451 788 751 Logan Road, Kingston Road, Compton Road and surrounding area encompass the Underwood business centre which is a mixed use urban development area incorporating the Underwood/Slacks Creek industrial estate as well as retail, commercial and office establishments. Retailers in Underwood include Bunnings, Big W and Woolworths as well as The Zone, which is a privately owned retail estate. 183m2 ground floor retail showroom or office Air conditioned Kitchenette & toilet Ample parking in front + rear of building Advertise your business to approx. 30,000 passing cars Motivated owner Contact Marketing Agent Joseph Miu 0402 963 355 or Suzy Saba 0451 788 751 Logan Road, Kingston Road, Compton Road and surrounding area encompass the Underwood business centre which is a mixed use urban development area incorporating the Underwood/Slacks Creek industrial estate as well as retail, commercial and office establishments. Retailers in Underwood include Bunnings, Big W and Woolworths as well as The Zone, which is a privately owned retail estate. 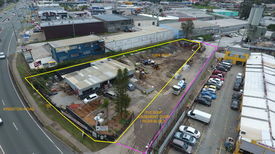 1493m2 functional warehouse Available early March 2019 3 phase power Ample staff + visitor parking Ground floor office Logan Road, Kingston Road, Compton Road and surrounding area encompass the Underwood business centre which is a mixed use urban development area incorporating the Underwood/Slacks Creek industrial estate as well as retail, commercial and office establishments. Retailers in Underwood include Bunnings, Big W and Woolworths as well as The Zone, which is a privately owned retail estate. 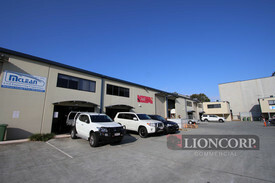 844 m2 clear span 60 m2 office/ showroom Container height roller door Leased until Jan 2021 Current annual rent $105,287 nett Logan Road, Kingston Road, Compton Road and surrounding area encompass the Underwood business centre which is a mixed use urban development area incorporating the Underwood/Slacks Creek industrial estate as well as retail, commercial and office establishments. Retailers in Underwood include Bunnings, Big W and Woolworths as well as The Zone, which is a privately owned retail estate. 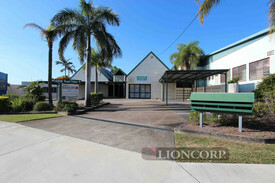 Ray White Commercial Northern Corridor Group is pleased to offer to the market for sale to investors. 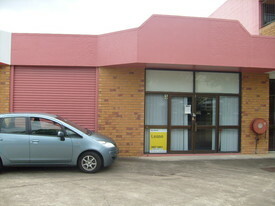 The property is currently leased to J C Interiors Pty Ltd with current net income of approx. $ 101,250 net + GST per annum with the asking price representing an attractive 7.5% yield. The subject property is a highly functional warehouse with fitted out professional office with easy access to the M1 and Gateway Arterial. 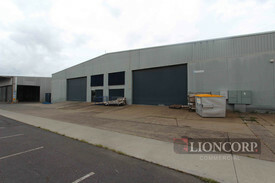 Property features include: bull; 904 m2 of building area; bull; 904 m2 land area; bull; Large clear span warehouse; bull; Ground floor showroom/ office space and mezzanine office space bull; Container height roller door access bull; Currently returning approx. $ 101,250 net + GST per annum bull; Strong 7.5 % net yield bull; Lease ending 01.01.2021 with additional 3 year option bull; Strategic location close to the M1 and other major roads For more information or to arrange and inspection, please contact agent Peter Laurent. Ray White Commercial Northern Corridor Group is pleased to offer to the market for sale to investors and owner occupiers with 90 days notice. The property is currently leased with current net income of approx. $ 138,840 + GST per annum with the asking price representing an attractive 7.7% yield. The subject property is a highly functional warehouse with fitted out professional office with easy access to the M1 and Gateway Arterial. 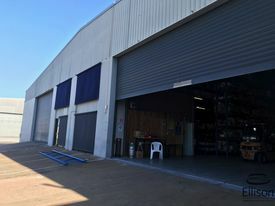 Property features include: bull; 1,439 m2 of building area; bull; 1,439 m2 land area; bull; Large clear span warehouse; bull; Ground floor office area and additional mezzanine office, break room and amenities; bull; 2 x wide container height roller doors; bull; 3 Phase Power; bull; Ample staff customer parking bull; Easy access to Pacific Highway M1 Corridor; bull; Tenant currently paying $ 138,840 net + GST per annum bull; Ideal for owner occupies requiring short term income For more information or to arrange and inspection, please contact agent Peter Laurent. Premium Retail, Showroom Or Office Space In Premium Location $46,800 + GST Gross PA (I.. 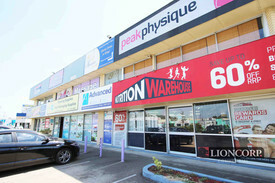 Opportunity to purchase 222m2 of warehouse & office Most sought after area in the heart of Underwood Only few minutes stroll to New Bunnings Practical & manageable warehouse with good ceiling height Mezzanine office with air conditioning Allocated parking at front of building Well secure & gated estate Logan Road, Kingston Road, Compton Road and surrounding area encompass the Underwood business centre which is a mixed use urban development area incorporating the Underwood/Slacks Creek industrial estate as well as retail, commercial and office establishments. Retailers in Underwood include Bunnings, Big W and Woolworths as well as The Zone, which is a privately owned retail estate. 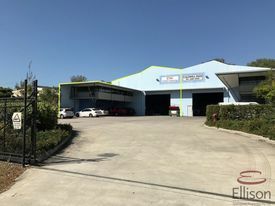 780m2 freestanding building on 1220m2 land 100m2 ground floor showroom 100m2 upstairs offices 580m2 of clear span warehouse High clearance bi fold door to warehouse 3 phase power to warehouse Ample parking onsite Easy excess to M1 Logan Road, Kingston Road, Compton Road and surrounding area encompass the Underwood business centre which is a mixed use urban development area incorporating the Underwood/Slacks Creek industrial estate as well as retail, commercial and office establishments. Retailers in Underwood include Bunnings, Big W and Woolworths as well as The Zone, which is a privately owned retail estate. 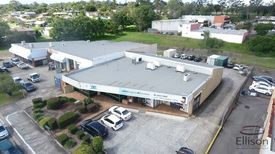 76 SQM boutique retail space Well suited for beauty/hair salon Great location and even better value Complex has direct Logan Road access Loads of parking for staff and clients Available now Outgoings included in rental Approximate If Applicable For more information please contact Charlie Meallin. DISCLAIMER: Subject to the provisions of the Trade Practices Act 1974 and subject to any other non excludable statutory provisions. Ellison Specialised Properties Pty Ltd for themselves and for the Vendors of this property for whom they act give notice that: (i) all information given in relation to this property whether contained in this document or given orally, is given without responsibility; (ii) intending purchasers should satisfy themselves as to the truth or accuracy of all information given by their own inspections, searches, enquiries, advices or as is otherwise necessary; (iii) no person in the employment of Ellison Specialised Properties Pty Ltd has any authority to make or give any representation or warranty whether in relation to this property.